One of the most common methodologies embraced by the current generation of creative improvising musicians is polystylisma seamlessly ingrained aesthetic sensibility that transcends the stylized post-modern dilettantism of earlier generations. 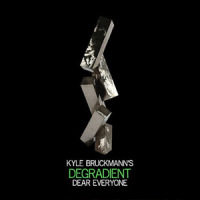 Bay Area-based oboist Kyle Bruckmann has demonstrated the depth and breadth of this all-inclusive approach in myriad ways, from his art-damaged punk band Lozenge and genre-defying chamber group Wrack to electro-acoustic solo recitals. Accompanied by a handful of colleagues from San Francisco, as well as former associates from his Chicago days, On Procedural Grounds is the first effort in Bruckmann's varied discography to present each facet of his multihued artistry on a single release. Though classically trained, Bruckmann composes his intricate frameworks from the perspective of an improviser, allowing ample room in his knotty themes for radical interpretations of the written scores. Indicative of his diverse interests, Bruckmann juxtaposes rigorous neo-classical motifs and spontaneously improvised interludes with dense contrapuntal charts, blurring the boundaries between classical, jazz and rock. Despite rotating personnel and instrumentation on each number, Bruckmann's singular writing style imbues the session with a sense of stylistic cohesion. The date opens with "Cell Structure," a capricious duet between Bruckmann and clarinetist Matt Ingalls, the founder of San Francisco's new music ensemble sfSound. 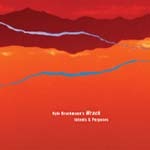 The piece pits the two reedists' oblique interweaving cadences against glitchy electronics generated by a vintage analog synthesizera device employed to even greater extent on the austere solo meditation "Orgone Accelerator," which illuminates Bruckmann's ability to emulate synthesized tones with an array of extended woodwind techniques. The aptly named closer, "Tarpit," features Bruckmann as a member of sfSound, who gradually transition from muted impressionism to droning expressionism during the album's glacially paced finale. 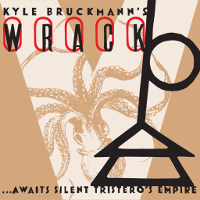 But it is the epic title track that proves to be the record's pivotal centerpiecean ambitious work that features Bruckmann's flagship quintet Wrack working in tandem with the legendary Rova Saxophone Quartet and the live electronics of Tim Perkis and Gino Robair. The expansive opus vacillates between assorted moods in just under half an hour, ranging from pointillist abstraction to rousing swing, highlighted by a series of blistering solos from the members of Rova. 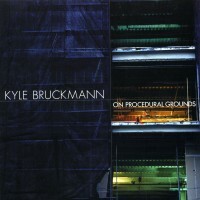 Although somewhat uneven when compared to his past endeavors, On Procedural Grounds is the most dynamic and definitive statement to date in Bruckmann's burgeoning discography. Track Listing: Cell Structure; On Procedural Grounds; Orgone Accelerator; Tarpit. Personnel: Kyle Bruckmann: oboe, English horn (3), electronics (1, 3); Matt Ingalls: clarinet (1), bass clarinet (4); Bruce Ackley: soprano saxophone (2); Steve Adams: alto saxophone (2); Larry Ochs: tenor saxophone (2); Jon Raskin: baritone saxophone (2); Jason Stein: bass clarinet (2); Jen Clare Paulson: viola (2); Anton Hatwich: contrabass (2); Tim Daisy: percussion (2); John Ingle: alto saxophone (4); Gino Robair: live electronics (2), prepared piano (4); Benjamin Kreith: violin (4): Tara Flandreau: viola (4); Monica Scott: cello (4); Kjell Nordeson: percussion (4); Tim Perkis: live electronics (4).